Increase the curb appeal of your home with customizable, high-quality window replacements. Drafty, old windows rack up high energy bills, but Brookhaven replacement windows from Tight Line Exteriors can increase your home’s energy efficiency to save you money while increasing the value of your property. With any window installation, working with a professional crew is imperative to ensure that your windows will function at optimal performance, and the experienced contractors of Tight Line Exteriors have the knowledge and skills to install your windows properly—while minimizing disruption to your daily life. If you are looking to install Brookhaven bow windows, you can trust our team of designers and installers to help you select the right style for your home. Bow windows form a gentle curve by joining four or five windows. With this shape, the window allows extra natural light into your home while adding impressive curb appeal and interior space that can be used for storage, seating and more! 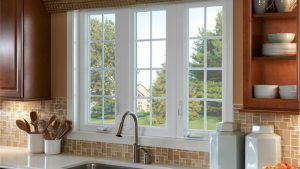 Gardeners and cooks love Brookhaven garden windows for their versatile functionality and beautiful appearance. The sill area provides ample space for houseplants and herbs, while the windows deliver generous lighting into the room. With access to sunlight and ventilation, you can watch your plants thrive all year long and add unique charm to your home’s exterior. Tight Line Exteriors offers a wide variety of home windows that can be customized to complement your home’s aesthetic. With our expertise, we can guide you through the different shapes, styles, and fits so that you can choose the ideal windows for your home. Whether you are building a new home or replacing windows in existing construction, we work with a range of needs and budgets to bring your dream home to life. Regardless of the window type you choose, Tight Line Exteriors offers professional Brookhaven window installation services to ensure that your window replacement is properly installed for lifetime durability. We train each of our crew members in the art of our window installation system in order to maximize the efficiency of your new windows and guarantee a permanent, watertight seal. When you are ready to save money on your energy bills and enhance the comfort, value, and appearance of your home, contact Tight Line Exteriors to learn more about our efficient replacement windows in Brookhaven. You can get started today by simply giving us a call to speak with an expert window installer, or fill out our online quote form now to request a free, no-obligation estimate.